Get Pumped For Your Big Date! Any guy wants to look like an alpha male when he heads out on a big date, Valentine's or otherwise. Do this workout first - and she'll reward your efforts later! No matter what your plans are for Valentine's Day, I bet you want to impress that other person by looking like the alpha male. We suggest getting jacked in the gym beforehand. That way, no matter where your night takes you, you can be sure that you are going to be presenting the best version of yourself whether in your clothes-or out of them. So how can you make sure to look your best that night? Easy; a targeted workout to increase blood flow to the muscles and cause a temporary overflow so that your muscle cells are engorged with extra blood and you appear big, buff and strong! No matter where your night takes you, you can be sure that you are going to be presenting the best version of yourself. The Valentine's Day Workout I am about to share with you is designed to do one thing; increase blood flow and pool as much of it into your cells creating a temporary overflow causing your muscles to expand and appear fuller throughout the course of the night. This workout is a targeted workout and although you can use it again whenever you like, it is not designed to build strength or build massive muscle or lose fat primarily. The workout was designed to get you jacked for one night and that is exactly what it will do. Do not expect to hold this prolonged muscle pump for weeks or even days because that's not going to happen but, it will work at getting you swollen for the big night ahead of you. 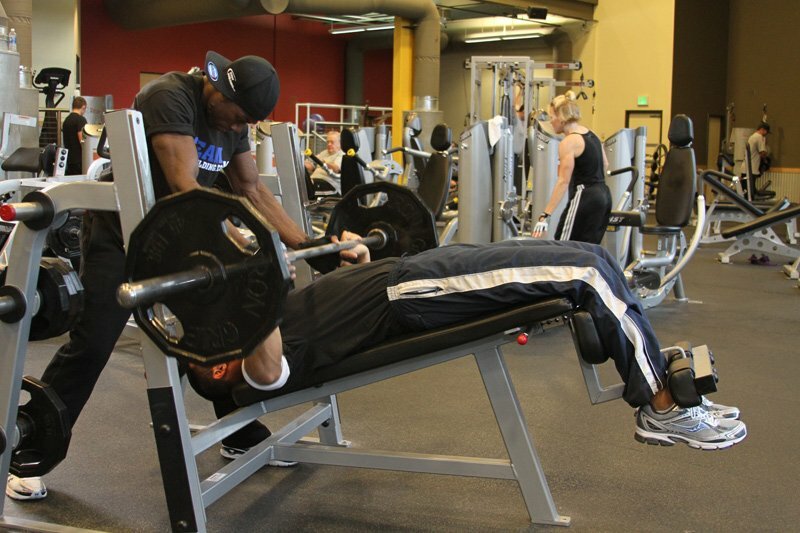 The workout consists of higher reps, higher volume and slightly lighter weights. Remember; we are not trying to lift our maximal lifts in this workout but rather we will be training using a circuit style of training that will burn a lot of calories, increase blood flow, expand muscle cells and get you looking your best. The workout consists of higher reps, higher volume and slightly lighter weights. 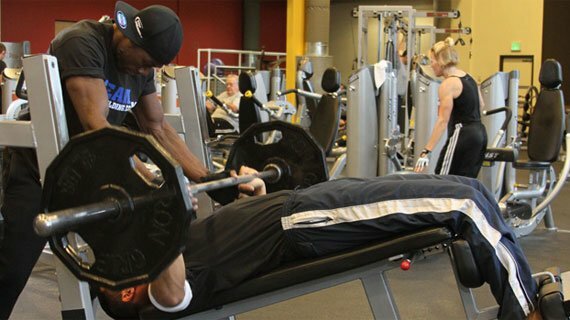 This is a similar type of training that fitness model competitors perform prior to stepping on stage for a competition. Be sure to adjust the weight you use so it is relative to the workout and allows you to hit the target rep ranges for the allotted sets. Focus on intensity instead of simply trying to lift the heaviest weight. If you have never trained like this before it may be a big shock to your system and it might actually work better for you than someone who trains like this every day. You may quickly notice that the workout only consists of upper body circuit training and although I don't normally recommend this type of un-balanced training, it is highly effective for the purpose of this workout. When showcasing your physique you want to present the 'Muscle's that Matter' which are your shoulders, chest, back, arms and abs in my opinion. Frankly, women are not checking out your legs in a time like this plus, you only have so much time to get your workout done. There are not many sets, but there are multiple exercises within each circuit which will add up on their own so please do not concern yourself with the total volume or lack thereof. Frankly, women are not checking out your legs in a time like this, plus you only have so much time to get your workout done. For the larger muscle groups, we will always start with a compound movement using a heavier rep range, then move onto more isolated movements that allow us to focus in on peak contractions and isometric pauses. Each circuit will involve many reps and help draw more blood into the muscle cell and make you appear more full and muscular. The smaller muscle groups do not need much attention since they are already heavily involved in performing many other upper body sets on chest and back. Therefore, we will reduce the volume slightly on smaller muscle groups. Finally, abs should be trained with a heavier weight to get them to pop out and get that six pack to out in full force. Before beginning the workout, perform a 5-10 minute warm-up of body weight exercises or some form of light cardio and warm-up sets. The circuits are to be completed back-back-back and only resting after completing the three exercises. Focus on intensity and higher volume with slightly lighter weights than you are accustomed to and do your best to hit the target rep ranges. Complete one circuit at a time before moving onto the next circuit of exercises. Ok so maybe that subtitle above is not suited for the time you spend with that special someone, but it does apply to your Valentine's Day workout understand? In today's workout, you do not want to spend 2 hours in the gym and completely exhaust yourself which might hinder your performance later on. Instead, we want to focus on getting in the gym, completing a high intensity workout, engorging our muscle cells and then being on time for whatever event you have planned. We want to focus on getting in the gym and completing a high intensity workout. This way, your time can be better spent later on in the night. Plus, to get a good pump on, you really don't need that much time and going too long in the gym for this purpose can actually have adverse effects to your goal. Now, print the workout below, take it to the gym and get ready to experience some serious muscle expansion and look your absolute best. Note: Hold contraction for up to 5 seconds on the last rep of each set. Note: Rest for 60 seconds following Circuit A before repeating. Rest for 60 seconds following Circuit C before repeating. Rest for 60 seconds before moving on to Circuit E.
Ok so that wraps up the Valentine's Day workout feature. Make sure to follow the guidelines as presented in this article and you should notice a significant difference in your body composition and you will surely impress that certain someone with your hard work in the gym.